Brighten up your dull, oily skin with a rejuvenating strawberry face mask. Strawberries are not only good for your health but also for your skin. They are rich in vitamin C and antioxidants that offer skin lightening, brightening and anti-aging benefits. This delicious fruit is particularly good for oily and acne-prone skin as it helps remove excess sebum. 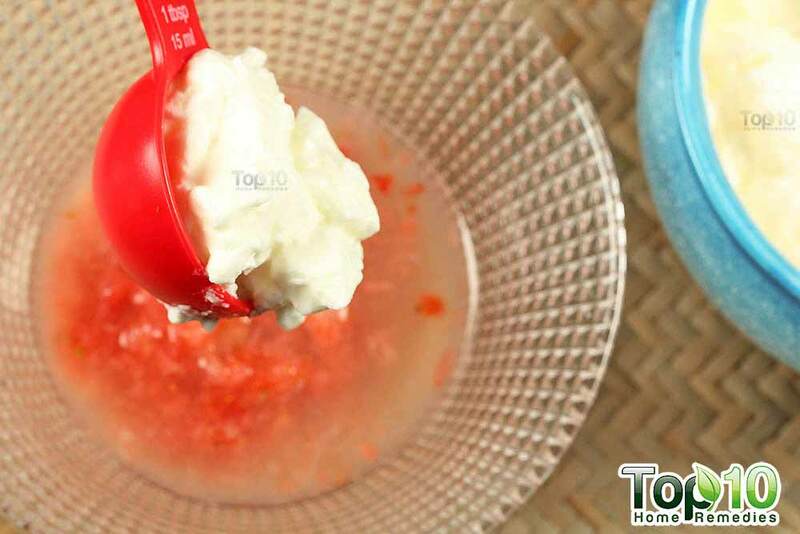 It also works as a great skin toner, thanks to its astringent properties. It contains alpha-hydroxy acids that help remove dead skin cells and treat acne. They also promote firm and smooth skin, and help fade acne scars and blemishes. 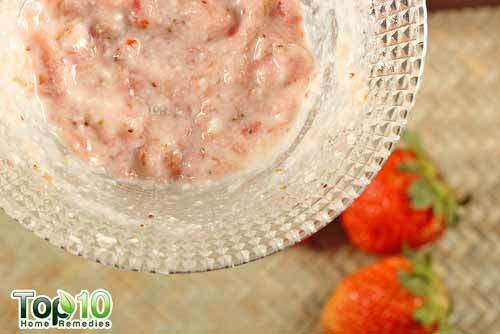 Plus, the antioxidant ellagic acid in strawberries prevents the break down of collagen that contributes to wrinkles. It also protects the skin from damage caused by the sun’s ultraviolet rays. 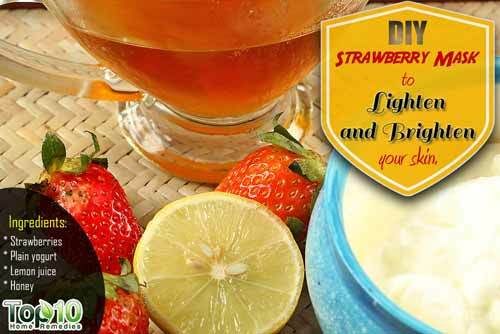 Our strawberry face mask for skin brightening also includes lemon juice, yogurt and honey. 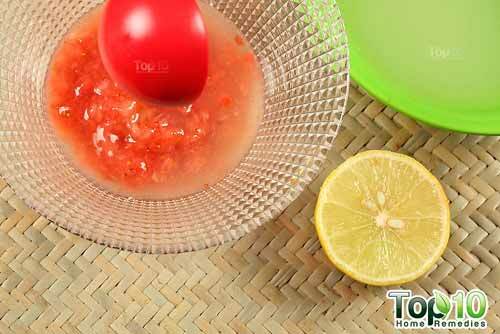 Lemon juice is excellent for maintaining soft and smooth skin. Due to its citric acid content, it naturally lightens and brightens the skin. Yogurt contains lactic acid that reduces blemishes and smoothes rough skin. It also fights acne and gives you a glowing complexion. Honey, too, is great for your skin because it keeps your skin moisturized. Plus, its antibacterial properties help fight acne-causing bacteria. 1. 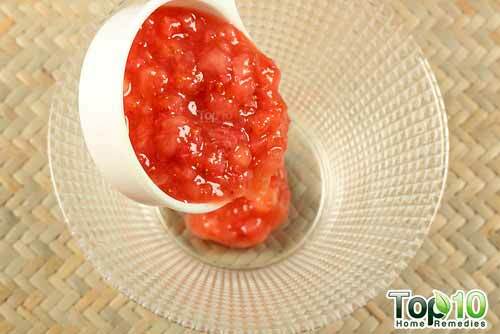 Cut 4 to 5 fresh strawberries into pieces and mash them thoroughly using a fork. 2. 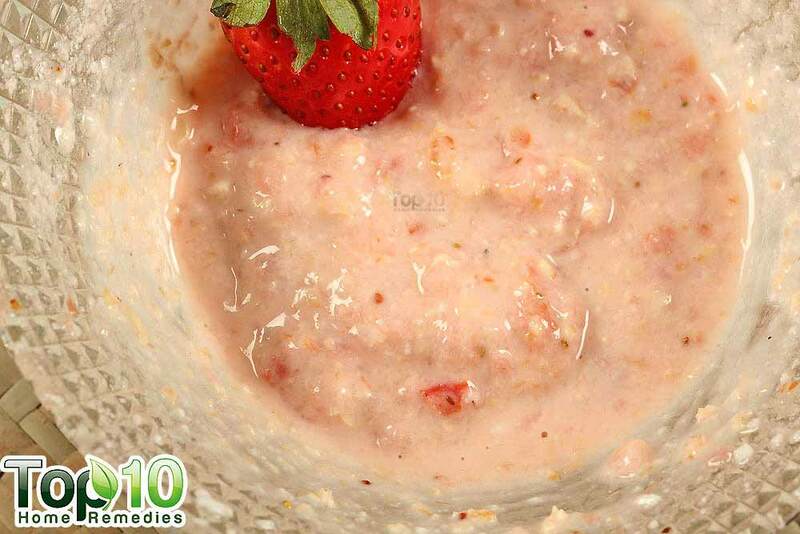 Put ¼ cup of the mashed strawberries into a bowl. 3. 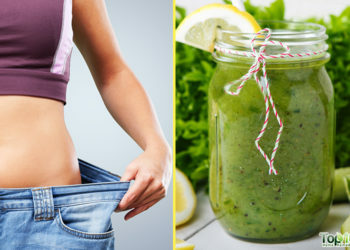 Add 1 tablespoon of freshly squeezed lemon juice to it. 4. Add 1 tablespoon of plain yogurt. 5. Mix in 1 tablespoon of honey. 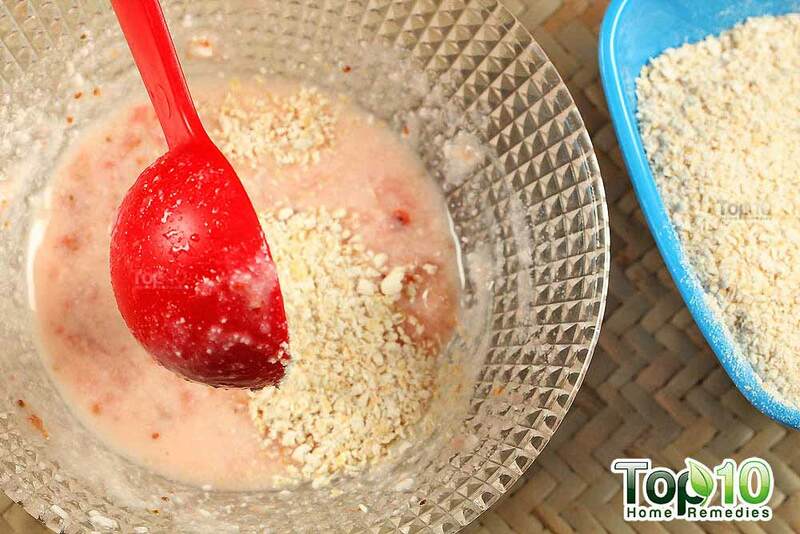 Your homemade strawberry face mask is ready now. Smells delicious! Remove all makeup and wash your face. 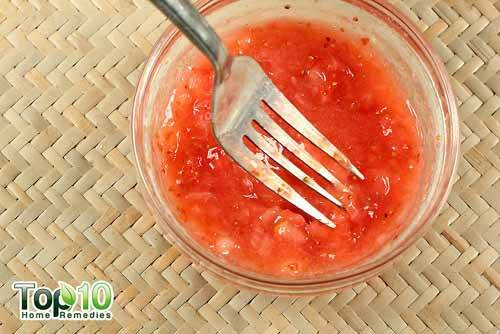 Apply your homemade strawberry mask generously on your face and neck. Lightly massage your skin with it to aid exfoliation. Do this once or twice a week. If you find it hard to smash the strawberries with a fork, you can use a blender. You can also add the other ingredients and mix them all together in the blender to make the mask. 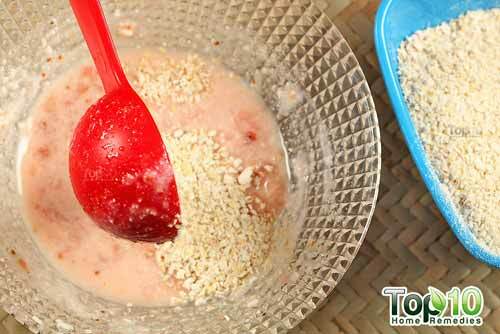 If the mask seems too runny, add 1 to 2 tablespoons of ground oatmeal to it. Oatmeal is also good for your skin. It helps absorb excess oil and exfoliates your skin. 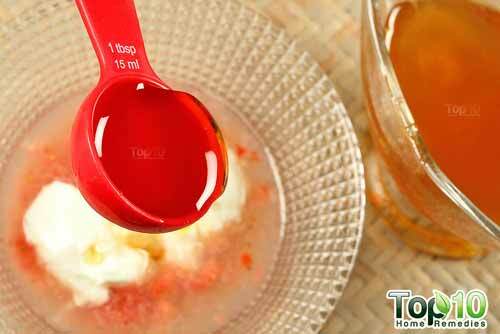 Use Greek yogurt for a thicker consistency. 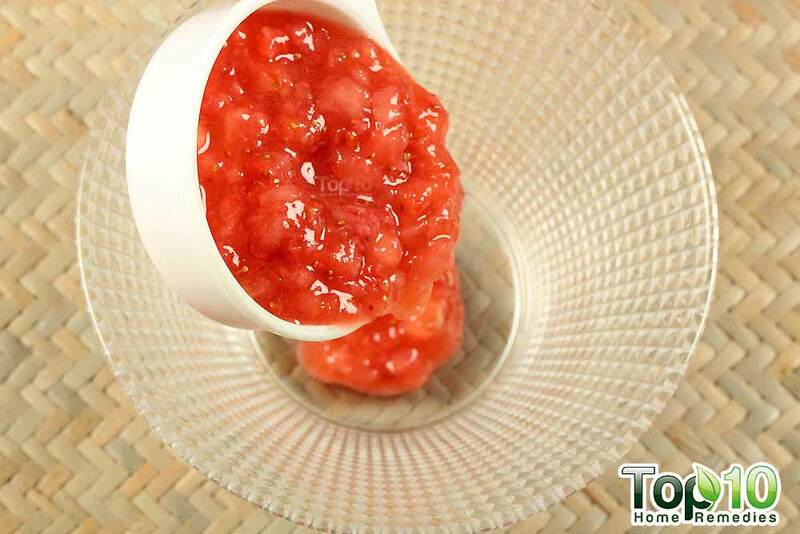 Another quick and easy strawberry face mask can be prepared simply by mixing 2 tablespoons of honey in 5 or 6 mashed strawberries. Also include strawberries in your diet to nurture your skin with good nutrition. A 2007 study published in The American Journal of Clinical Nutrition reported that people who ate foods rich in vitamin C-rich foods had fewer wrinkles than those whose took little of the vitamin. thanx guys for these remedies they do work wonders for me, i feel like my granma is still around for her remedies. These are so damn good. Really gud job. All this precious information free of cost.. Such a charity… Thanks a lot. Gud luck. It works well for me, thanks!! Tried this today and absolutely love it. I ground up some oatmeal and added it to thicken then mask. My skin is glowing. Thank you so much for sharing.